Penny Anderson Associates Ltd. (PAA) has extensive experience in a broad range of bird survey methodologies. This ranges from standard surveys, such as breeding bird surveys, to species-specific surveys and those related to wind farm and airport developments. In addition, specialist wildfowl and wader surveys have been commissioned on a variety of projects. All birds are protected by UK law whilst breeding, with additional protection given to Schedule 1 species, such as barn owl and black redstart. Birds are ubiquitous across virtually all habitats and landscapes and are a material consideration in planning applications. 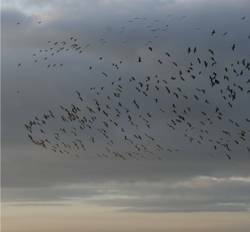 Birds can be affected by any form of land use change associated with, for example, housing and industrial developments, forestry works, barn conversions, wind farms and single turbines, airport extensions and runways, road schemes and agriculture. These changes can have direct impacts through habitat loss, disturbance, displacement or even mortality. This is following guidance from British Trust for Ornithology (BTO), the Royal Society for the Protection of Birds (RSPB) and the Joint Nature Conservancy Council (JNCC). Barn owl: for roosts, nesting sites and foraging activity; Black redstart: in inner city Birmingham and Manchester; Common crossbill: as part of a major coniferous woodland clearance and management scheme; European nightjar: across the country in relation to forestry works and major developments; Little plover: surveys and monitoring across the UK; Kingfisher: in relation to a range of projects. PAA has extensive experience in both conducting vantage point surveys and tailoring methodologies to fit the particular development site. Surveys follow recognised guidelines developed by Scottish Natural Heritage specifically for birds and their flight activity where wind farms are proposed. These have been conducted in a range of sensitive habitat and landscape settings including uplands, lowlands, arable and pastoral farmland and water treatment works. This includes projects where wildfowl with protection through SPA classification are a major issue and specialist surveys are required. Breeding waders are often recorded whilst conducting a standard BBS. However, specialist surveys of waders or particular species have been conducted. These include a four year monitoring survey of redshank, and other waders, in the Peak District and Nationwide surveys for little plovers. 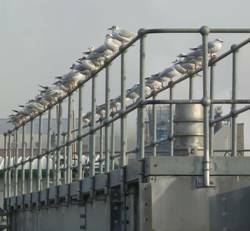 This includes high and low tide counts and assessment of roost use in relation to adjacent developments. In addition, intensive wildfowl surveys in relation to a wind turbine developments. 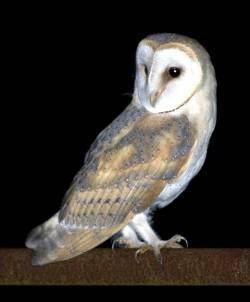 This included dawn and dusk vantage points, winter walkover surveys to identify main feeding areas and nocturnal surveys to identify the site’s function at night. It is always recommended to remove potential nesting habitat outside of the main breeding season (March to September inclusive). However, occasionally this is not possible due to contractor time constraints. PAA has experience is searching for nests and monitoring until they are completed. This is primarily in hedgerows or scrub but also in grassland sites and buildings. The management of habitats in and around airports is often a critical activity in the safeguarding of UK airports. Working with landscape architects, landscape managers and airport operators we have completed many projects where our detailed knowledge of bird behaviour has been combined with our habitat management skills to develop schemes where optimum nature conservation enhancements can be achieved in association with airport developments without compromising air safety. At numerous airports including Manchester, Heathrow, Stansted, Gatwick and Jersey we have used bird flight path surveys and bird habitat function surveys to address often complex risk issues associated with bird strike and bird strike management.